Kortney Shane Williams is an international touring comedian. He started his comedy career while attending The University of South Florida in Tampa, FL. He ended up in Seattle Washington for what he thought was a week of shows, but soon turned into a place where he would hone his craft. The master of satire has been a part of The Bridgetown Comedy Festival, Boston Comedy Festival, Laughing Skull Comedy Festival, and Bumbershoot Arts festival. Kortney’s self-deprecating humor has won him finalist spots in both Comedy Central’s South Beach Comedy Festival Competition and NBC’s Stand-Up Showcase. Kortney has opened for Hannibal Buress, Mike Wilmot, Darryl Lenox, David Alan Grier, and Dave Chappelle. 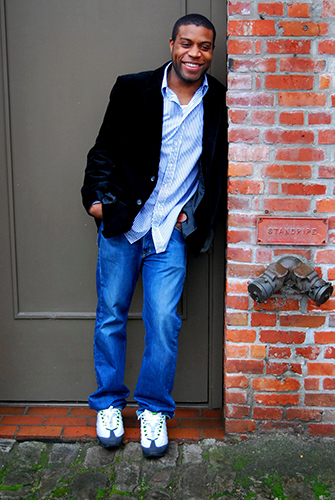 He has appeared on CBS, Comedy Time at the Icehouse, Laughs TV on Fox, and The 206 on NBC. His writing he has been featured on Yahoo while his comedy sports blog Comedic Prose is regularly highlighted on FoxSport.com. Kortney’s personable style of joke telling makes him a must see act. Currently he can be heard on Pandora, Spotify, or find his weekly Podcast “Kortney’s Last Show Podcast” and latest comedy album, I’m Right About This on iTunes.